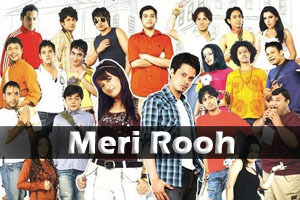 Lyrics Of Meri Rooh From Movie - Admissions Open (2010): Nice romantic song sung by Naresh Iyer, Aditi Singh Sharma & music composed by Amit Trivedi. Star Cast: Anupam Kher, Aashish Vidyarthi, Ankur Khanna, Pramod Moutho, Arshi. Lyrics in Hindi (Unicode) of "मेरी रूह"